wow! great creative idea! stunning colours! Hah. Excellent. Like the self portraits on the left. Nice sort of cross processed feel. The reflections on the glasses reveal much more than seen at a glance. By the way, the colour is superb, as usual. Good idea and great colours! Great cross processing and somehow a hidden self portrait. 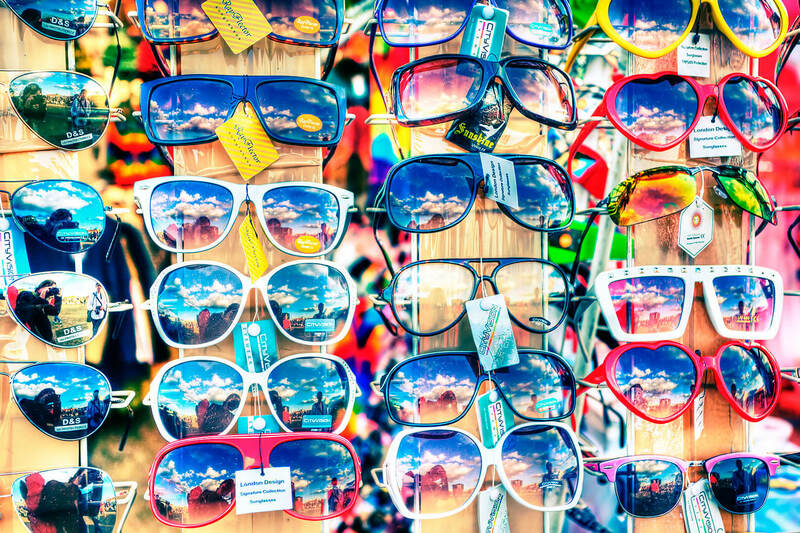 You have turned cheap sunglasses into a work of art. Who would have thought it possible? What a great sky, among the many other repeated images. Brilliant. superb! I love all the small individual reflections.